Water proof your style all day, Even under water, and finish the look with a natural shine. 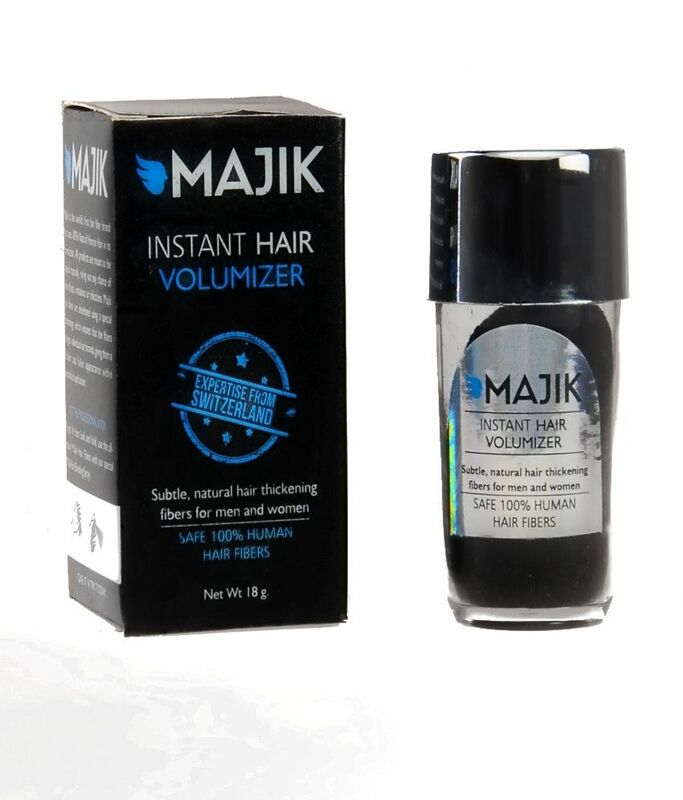 Majik instant hair fixative is the perfect hair fixative for use with majik hair fibers, creating a strong bond between the microfiber and the hair shaft. Perfect for long lasting hold when you are on-the-go, Travel size Majik Instant Hair Fixative Spray is a fine mist that further strengthens the bond between Majik Hair Building Fibers and fine or thinning hair. Keeping Majik in place in wind, rain and perspiration. Directions: After applying Majik Fibers and styling, hold container 4-8 inches from hair and use short, easy sprays. May be reapplied as needed.